This is the first thing a school admin needs to do after signing-up. 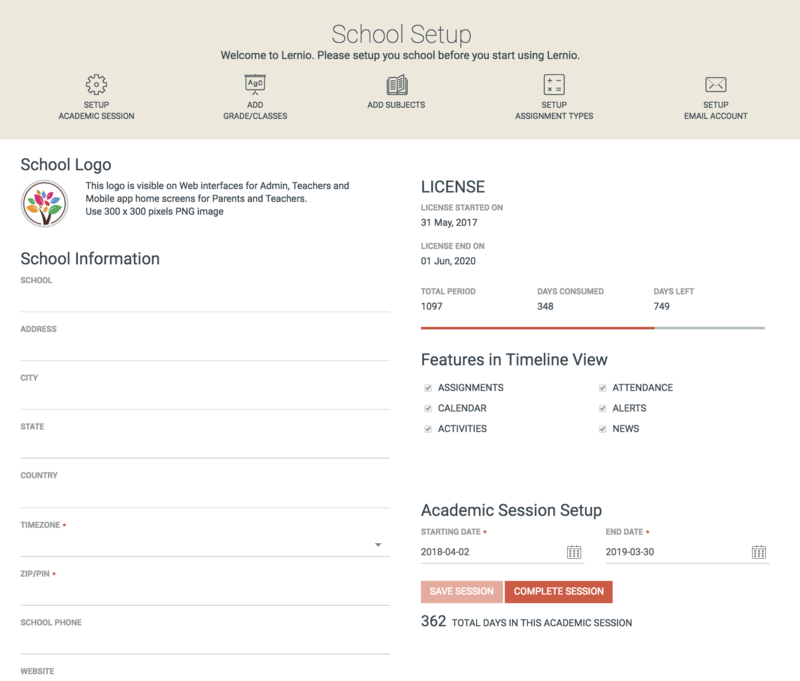 Set school logo: The school logo along with the name of the school appears within the mobile app. It is recommended that only the logo symbol is set here. The name of the school is automatically displayed along with the logo symbol. 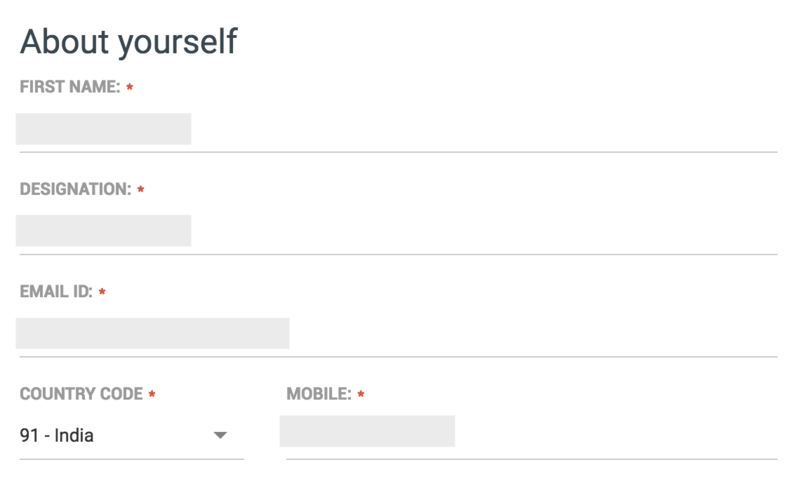 View subscription status: This shows the whether you have a trial or a paid subscription and also the number of days left in your subscription. Set academic session dates: Set the start and end date of the academic session. Social media links: Set the links of your schools social media here. These links will be available within the app in the menu drawer. 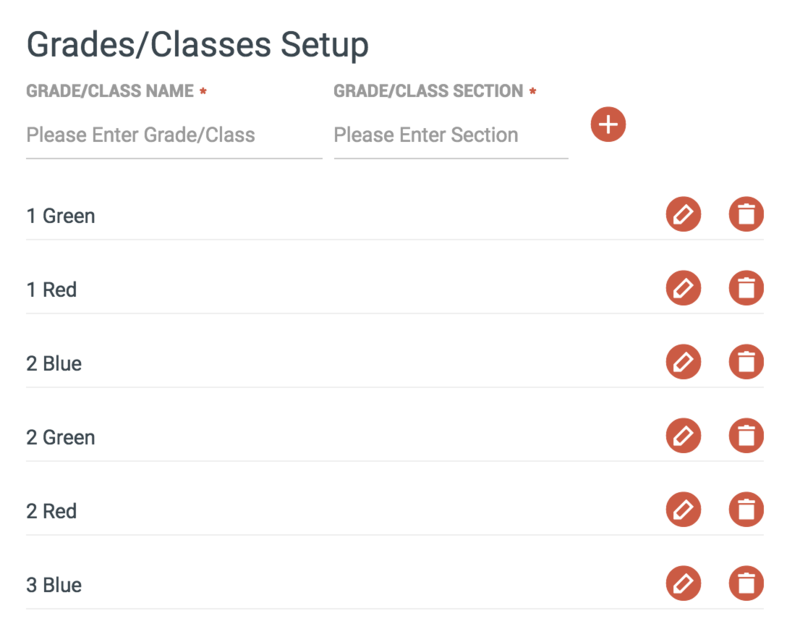 Setup the grades/classes in your school by typing in the grade/class and section combination and clicking the plus (+) button to add to the list. This must be done before you add any teacher or parents user accounts. 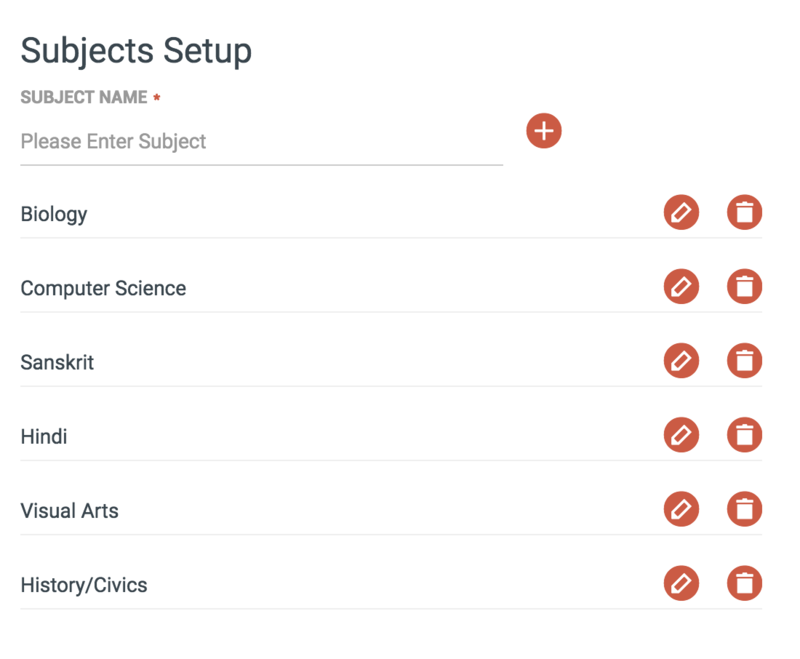 Similarly as the grades or classes, populate the master list of all subjects in your school across all classes. 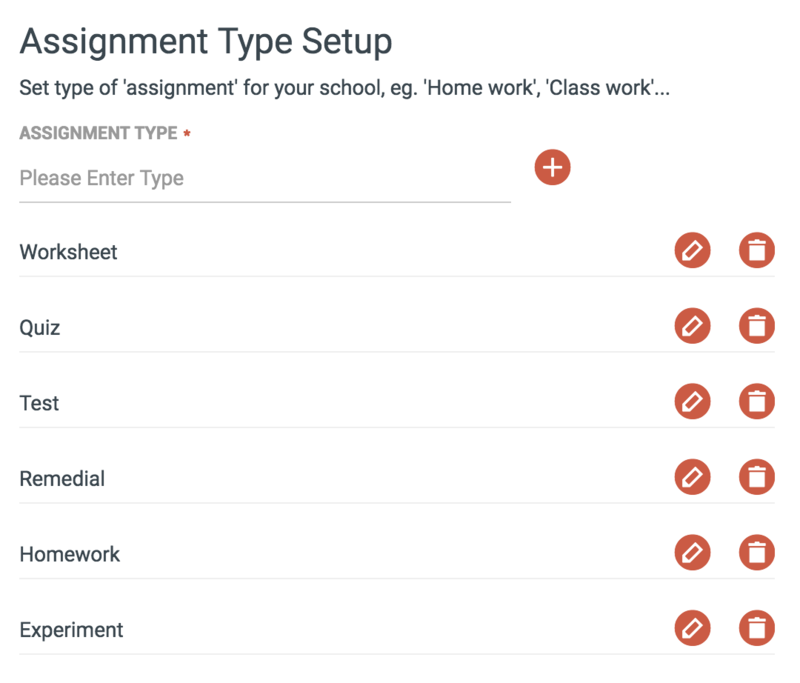 Set the Assignments types that will be available to teachers when creating assignments. This can include homework, classwork, test, quiz, field trip, etc. You may change details of the school admin here. 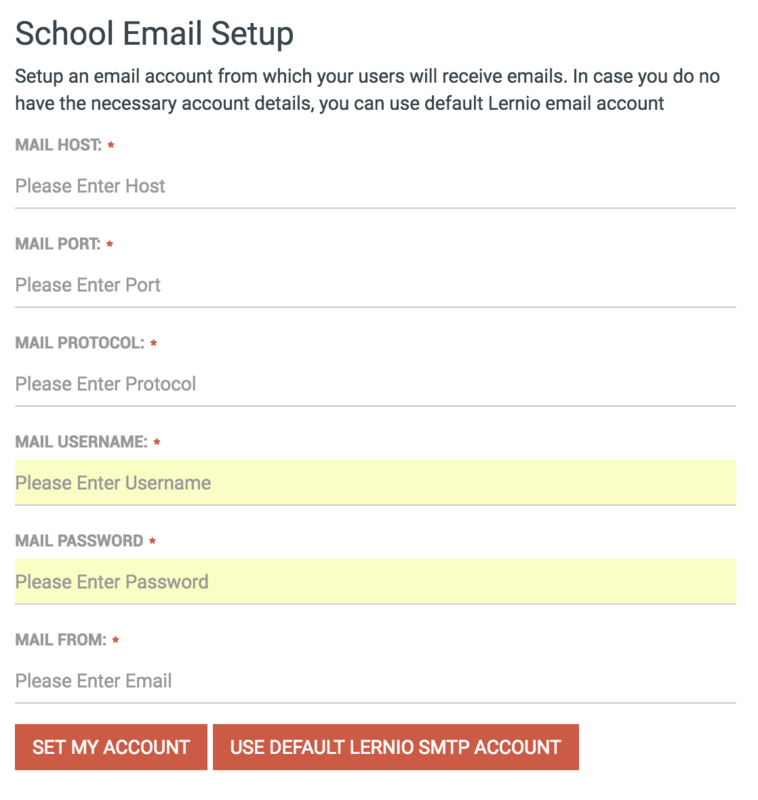 If you have email service on your own school domain, you may use the same for sending welcome emails to teachers/parents. In case you do not have your custom domain, you may use the default lernio emailer. Complete Mobile App Setup, before you start using Lernio.